One of Dublin's most celebrated coffee shops has reopened its doors after a multi-million euro renovation. 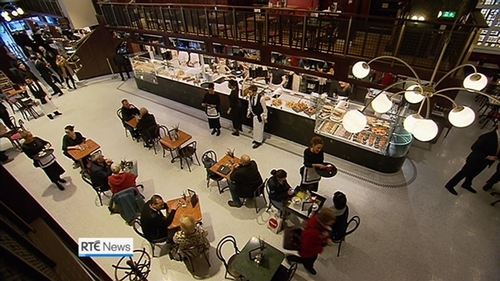 Bewley's welcomed back customers to its landmark cafe on Grafton Street today. It took 1,000 days and €12 million to renovate.